To go to the fact sources click on the light blue print in the leaflet. ANNASTACIA! WHEN ARE YOU GOING TO REQUIRE SIBELCO TO REHABILITATE MINED LAND? Labor promised to protect North Stradbroke Island and ensure that Belgian sand mining company Sibelco rehabilitated mined land. But as this video ,Yarraman mine March 2017 taken from a plane shows, very little has been done to rehabilitate and protect landscape at the closed “Yarraman” sand mine near Point Lookout. Mining ended at this mine in August 2015, 20 months before this video was taken. Mining lease conditions require Sibelco to revegetate and rehabilitate mined landscape as far as possible to its pre-mined state. And, Sibelco is legally obliged to rehabilitate progressively, not wait until a mine has closed before commencing this important task. Some of the almost bare areas seen in the video were mined several years ago. The poor state of this landscape indicates that Sibelco has, once again, been thumbing its nose at Queenslanders and at its legal obligations. Labor, and the LNP before them, have allowed Sibelco to get away with it. Progressive rehabiliation is particularly important on this fragile, windswept, sand island landscape. Also, the unnaturally coloured (polluted?) water bodies which can be seen in the video were not there pre-mining. These are sub-water table mining voids, with bare, steep, and dangerous banks. A Google earth examination reveals that they are larger than any natural, fresh water lakes on Straddie. Best practice, which Straddie deserves and which Labor promised, requires these mining voids to be filled in post-mining, and re-vegetated. What is our Labor Government doing to enforce rehabilitation requirements on Stradbroke? Clearly, absolutely nothing. Where is Environment Minister Steven Miles when he is needed? Once again, he is missing in action. 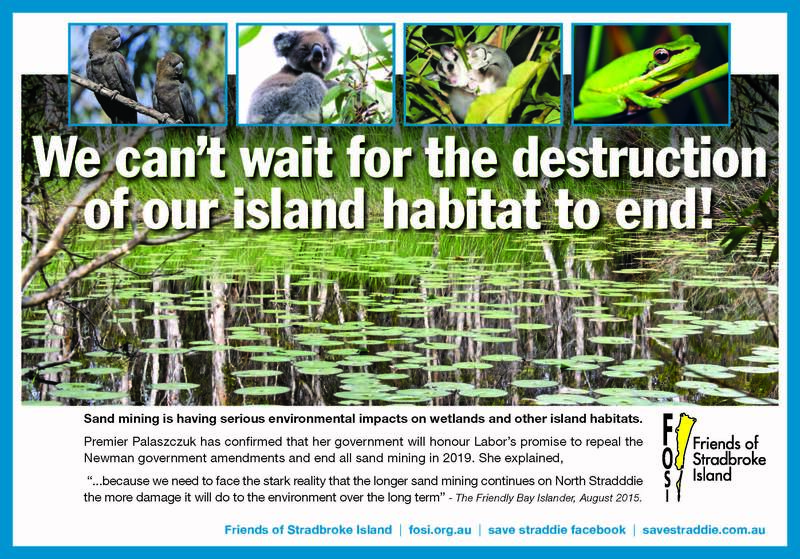 Meanwhile, further down the Island, Labor continues to allow destruction of Straddie’s landscape and aboriginal cultural heritage at the “Enterprise” mine, where mining is not scheduled to conclude until 2019. This mine is also a major source of air pollution. It is the SECOND LARGEST emitter in SEQ of dangerous, wind borne Particulate Matter (PM). Click here for more information. Come on Annastacia, people are disgusted with your Government bending over backwards for mining companies, particularly those like Sibelco and Adani which pay ZERO income tax in Australia. When are you going to stand up for Queenslanders? Premier, you know that the best way to force Sibelco to honour its obligations to rehabilitate mined land is to withdraw your permission to mine at the “Enterprise” mine until genuine rehabilitation occurs. So what are you waiting for? 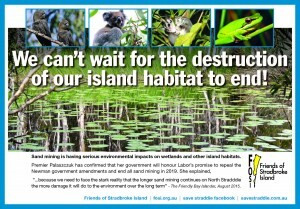 Why aren’t you acting to protect and restore Stradbroke’s special environment, as you promised? Now that the unimpressive parliamentary committee inquiry and report into the sand mining issue has concluded, attention re-focuses on the promises to end sand mining “by 2019” and ensure the island is protected and rehabilitated. Before being elected in 2015, Labor promised to “immediatey repeal” the Newman Government’s sand mining extension legislation and end sand mining by 2019 and to protect the island for current and future generations to enjoy. Those promises were made in writing on official Labor Party letterhead and by Jackie Trad during an ABC pre-election radio debate. They are now well overdue. After her election, Premier Palaszczuk confirmed Labor’s pre-election commitments and promised to end sand mining “by 2019”, because Straddie is an “environmental and tourism icon that must be protected ”. To read the complete Question and Answer statement published by the ‘The Friendly Bay Islander”, click here. 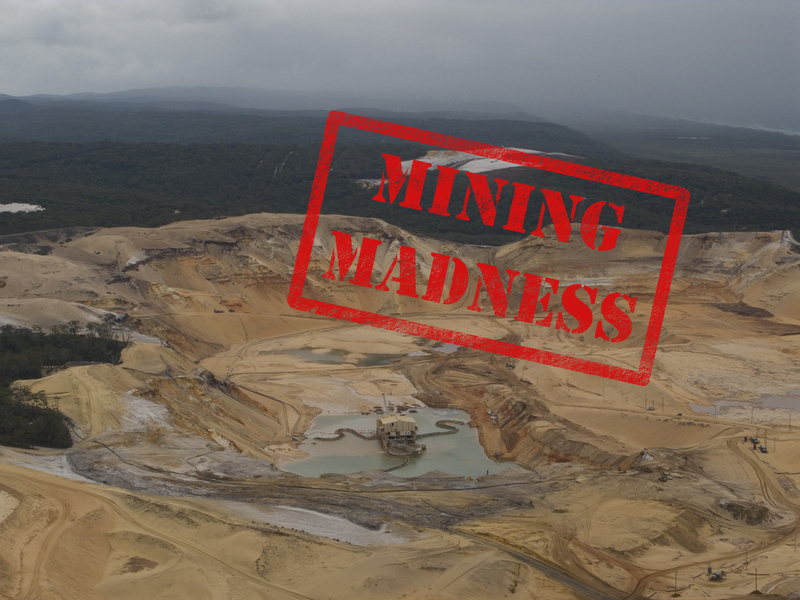 In our Facebook posts we have detailed more reasons why Sibelco should no longer be permitted to mine, particularly on such a beautiful and fragile sand island – the second largest in the world! Click on this post in particular for a quick summary of the reasons why Sibelco’s sand mines should be closed in 2016. See our posts from December 2015 for links to the facts and sources behind these reasons. They include a serious public health issue arising from the fact that sand mining on Stradbroke produces the SECOND LARGEST EMISSIONS IN SEQ of toxic, air borne particulate matter (PM). The AMA has warned there is no safe level of exposure and that breathing PM can have serious health consequences, including death. Our posts contain links to AMA submissions on the dangers. Remember, in 1976 the Federal Government stopped sand mining on Fraser Island with two months notice ! It accepted the findings of the Fraser Island Inquiry that sand mining causes “major permanent environmental harm”. The fact that sand mining produces dangerous air pollution was not then known. Also, remember that Sibelco and some of its supporters have exaggerated all the benefits of more sand mining and downplayed all of the benefits of ending mining. 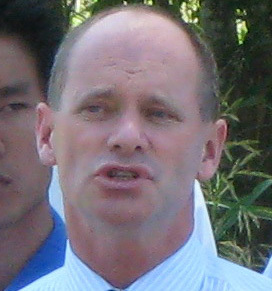 For example it has claimed hundreds of job losses, whereas even the LNP Government in late 2013 accepted government economic advice that from 2015, at stake are only 86 island jobs, direct and indirect, with only some of these living on the island and most travelling from the mainland each day. The evidence now strongly suggests that there are fewer than 50 sand miners living on Stradbroke – see this Brisbane Times article. A $5 Million assistance package for these workers was announced by the Palaszczuk Government recently. SIBELCO MAKES OVER 400 MILLION DOLLARS BUT PAYS NO INCOME TAX. Click here to go to our Facebook post of 19 December, 2015 for more information. Our Federal Government ended sand mining on Fraser Island with two months notice, to protect the environment of the world’s largest sand island. The infamous Bjelke Petersen Government wanted a TWO year transition. On Stradbroke, the world’s second largest sand island, the Bligh government extended expired mining leases by more than 8 YEARS. The Newman Government attempted to allow even more mining in a “cash for legislation” deal with Sibelco! LNP leader supports Stradbroke Island sand mining. In contrast, Campbell Newman’s father stopped sand mining on Fraser Island 35 years ago. Kevin Newman was the Federal Environment Minister in 1976 and stopped sandmining on Fraser Island just six weeks after receiving the Fraser Island Inquiry Report which found that sand mining causes major environmental harm. 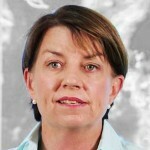 In 2010 then Premier Bligh said that sand mining should never have begun on Stradbroke but in April 2011 her government used special new legislation to renew expired mining leases that allow many more years of destruction. The Bligh government adopted as policy the mining companies own plan for ‘staged’ National Parks on Stradbroke. In July 2011 the Bligh government went even further and approved a dramatic expansion of the Enterprise open cut sandmine path. Hypocrisy: Former Premier Anna Bligh in the Brisbane Times: “The truth is that sand mining should never have been allowed to begin on North Stradbroke Island. It was a mistake. The leases were issued during an era when it was easier to get a mining lease than it was to get a driving licence. It was the “rip it up and ship it out” era that saw the diggers begin to dig at our island’s heart”. Open cut sandmining causes major permanent irreversible damage to the natural environment that is impossible to repair or rehabilitate. Read more. Destruction of old-growth forest for open cut sandmining near Point Lookout , North Stradbroke Island 2011. 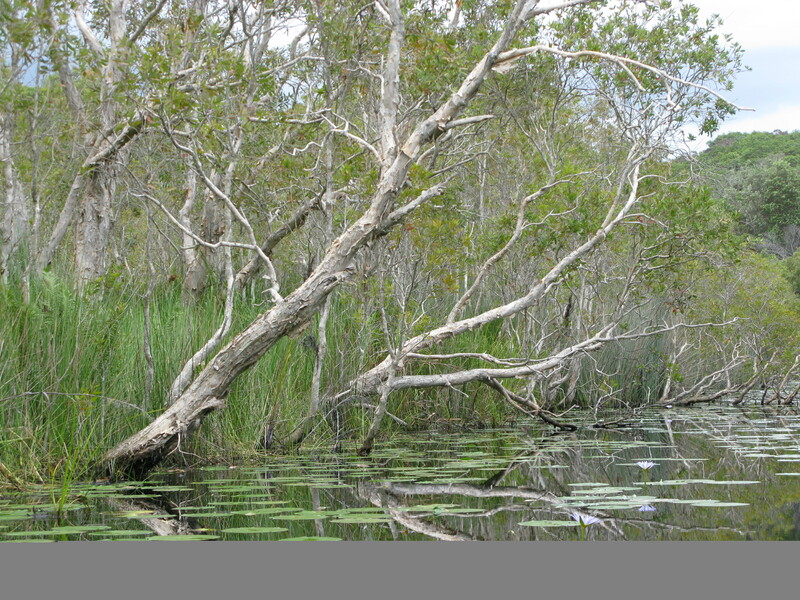 Sand mining on Stradbroke Island destroys habitat of the vulnerable Wallum Sedge frog. 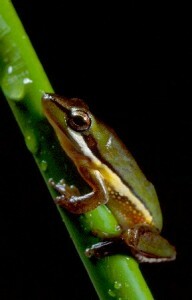 Sand-mining threats to the habitat of the endangered Wallum Sedge frog are acknowledged by both the Queensland government, and Federal government. Both governments have a joint Wallum Sedge frog recovery plan which lists sandmining as a threat. See more photos and information about the 18 Mile Swamp wetland. Despite the ‘spin’ at the time, the former Bligh government policy did not stop sand mining. It did the opposite. 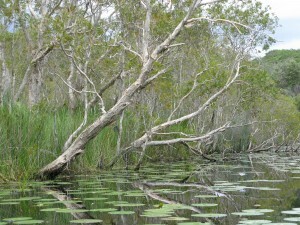 It used special legislation to allow continued destructive sand mining of essential habitat, including of vulnerable frog species and the habitat of the unique island koala, now officially recognised as ‘vulnerable’. The former government did declare 50% of the Island national park, but that was ALP policy in 1990 and since then, it allowed much of the new ‘national park’ to be damaged by sand mining. The declaration of national park also essentially mirrored the mining company’s own ‘plan’ for national park – a plan which does not interfere with mining. More sand mining further threatens the island’s ecosystems, fragile water bodies and the island’s economic future. The former Bligh government buckled to a giant overseas sand mining company and to its party’s power brokers. The LNP government under Premier Newman took this policy of environmental destruction to another level, despite the Federal government’s Fraser Island Inquiry concluding in 1976 that sand mining Queensland’s fragile sand islands causes, in the words of our then Prime Minister, Malcolm Fraser, “major permanent and irreversible damage” (for further information about the Fraser Island Inquiry go to ” In 1976 Fraser Island sand mining was stopped in just six weeks by Campbell Newman’s own father” ). The Queensland government’s policy would be a joke if it weren’t so serious. Side stepping the expired lease laws applying elsewhere in Queensland with special new laws in 2011 was a Bjelke Petersen style tactic. The government cynically legislated around the Mineral Resources Act, because applying it to the expired mining leases may have ended mineral sand mining by 2013. The sand mining company complained about the special legislation because it didn’t get everything it wanted, but it benefited greatly – the renewal of expired leases from between 9 and 14 more years locked in further sand mining on Stradbroke to enable Sibelco to cash in on record high prices for mineral sands. Why special favours to this company which cannot be trusted ? The Court of Appeal found in 2010 that it unlawfully removed and sold large quantities of Straddie sand for landscaping and building purposes. It was charged with the wrong offences and acquitted. Before those charges were even heard, this company was rewarded with special legislation extending expired mining leases ! Allegations of stealing the sand, worth an estimated $80 million, remain unresolved. Straddie is the backyard of so many people of South East Queensland. The majority of the community opposes destructive sand mining tearing up the remaining ecosystems in this special place.